It has always been a great concern of mine to operate as Responsible a business in the jewelry industry as possible and fortunately many of the issues are now reaching consumers. A long time member of Ethical Metalsmiths, and now helping run it, this is one of the most effective ways to help improve the industry from a grassroots level. For my studio business, I have already recorded all the info I have about each material incorporated into each individual piece, and assigned each piece an item number, and sold each piece with this affiliated number for reference. And of course every piece is marked with my logo stamp, and the quality of the metal so that its always known who made it and what its made of. This year I am introducing another step: marking each piece with this stock number so that the piece cannot be separated from its item number and therefore the relevant information about it. The same way a laser inscription can be put on a diamond to affiliate it with its GIA Grading Report, it will be an added traceability step to my own works. 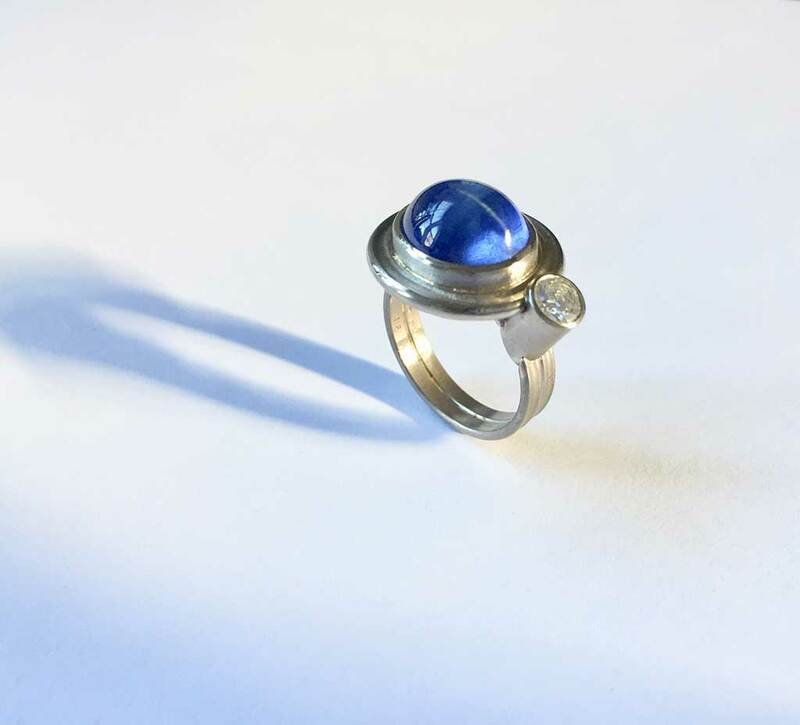 This ring is the first using the new marking system, a gorgeous star sapphire ring custom made in 100% recycled 18k palladium white gold for a client using her stones.